A special post for a special day…choosing to remember the days after 9/11. As many of you may have seen a pattern by now, I rarely if ever post on Sundays, but this Sunday is beyond special. This Sunday, 10 years ago changed our country and me forever. 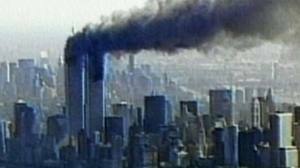 This is the day thousands of people died in a horrific event that haunts so many, even still to this day, including me. As I sat Friday night and watched the Dateline special on NBC with Tom Brokaw, I was caught between emotions of intimately feeling the pain of each of the stories in that moment and feeling like I was still sitting on the floor in the hot and humid room on the 5th floor of the Puck Building in Soho, NYC where I had arrived at 9:30 am on September 11th, 2001. On that bright sunny day at 9 am in New York City, this country mouse got her full-fledged city mouse credentials as I sat in a cab on 5th Avenue to travel downtown for meetings with my new client, J. 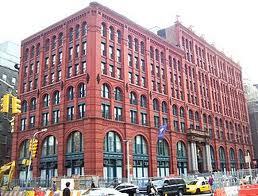 The windows were down in our taxi and the famous Manhattan avenue was now a parking lot. My client J and I watched as people lined the streets looking downtown and dead ahead of us the North Tower of the World Trade Center had just been hit by a “plane” and the other tower was about to be. This group of strangers in cars and on-foot were now a community. We yelled back and forth between cabs to get information, we saw debris in the sky, and then another plane. Noone knew what had happened, it was stunned chaos and fear was escalating. At that moment, I looked at J who I had just met the day before and said “thank god we are in this cab and I offered to pick you up” to which she responded, “yes, thank god.” You see, J and never been to NYC before and I was supposed to be with her at the Millennium Hilton (with her that morning at 8:45 am to pick her up to take her to the Puck Building (the first plane hit at 8:46 am). The Millennium Hilton is the building on the far left covered with orange mesh due to the extensive damage. The day before at company Headquarters, as we discussed our meeting scheduled for 9:30 am the next day in the city, I had, on a whim, offered that instead of having her be inconvenienced by changing her hotel from Tarry Town, NY to the Millennium Hilton across from the World Trade Center, I, in an “apparent” random act of kindness (very country mouse) would come pick her up from where I lived in Connecticut and take the train with her into the city. Being new to the East Coast, this wasn’t exactly convenient for me or JFS (my ex) as we only had one car so he had to drop me off at work each day. Therefore, the extra 40 minute drive (we lived 5 min from the train station so this was much further for us) affected him even more than me as he also had to be back in time to get to his own job. Like me, he was a country mouse at heart (this simply means that we like to be nice. No ulterior motive, just nice…in New York and LA this “niceness” can be considered weird since it probably means you want something. In my past efforts to occasionally be welcoming and offering to have someone new to the company or the area over for dinner or something, I was often greeted with a look that suggested I might as well have planted myself on their lap and asked them about their childhood). That morning when JFS and I left the house to pick up J in Tarry Town, it was 7:00 am est and a bi-partisan debate was in full force on the Today Show, none of us knew that would all change very soon. and to sit with people I barely knew in a city I had lived near for only 2 months. This city which was so normally so full of life and energy was now locked down and I had no idea when I would be able leave it to go back to Connecticut to be with my husband again. For that matter, I had no idea what we would do next. As the day unfolded, we hung on every word on the news. The Pentagon, other hijackings, authorizations to take down flights, the crash of Flight 93, it was like a dream. After the towers fell it became clear that we would need to make our way on foot to our next place. As it turned out because J was from St. Louis, she had her suitcase so we needed to figure out a place for her to stay and a colleague of hers was stuck in St. Louis so she offered her apartment on 93rd and 1st. It was a massive hike from Soho with no mass transit running, but we had to get there, so off we went. As we walked with all the people you see in the images, soot all over their bodies and clothes, with emergency vehicles ripping past us going the wrong way down streets, I remember thinking about how this must have been what it was like on the day JFK was assassinated. Strangers becoming friends, gathering around TVs in restaurants and bars trying to find out information. We walked and walked. Switching off carrying J’s luggage between the 3 of us, all the while trying to locate S’s husband P. We finally found P, made it to drop off J and found out the trains out of the city would reopen at 7 pm. I boarded the train with no ticket. Grand Central was eerily silent as commuters flooded the trains but the usual chaos had been replaced by true despair and a quiet born of fear and exhaustion. When I arrived in CT, it was like being a movie. F-16s flying overhead, emergency vehicles everywhere and me walking toward our green Volkswagon Jetta where I could not wait to sit down because I had never been so tired. All I wanted was a giant hug from my husband and to go home, lay down and cry. And cry I did, for days. I cried at the news which I couldn’t turn off, at the images burned in my mind, at the stories that were told, at the sadness I felt for everything happening at the fear I felt of what might happen and for the gratitude I felt to all the people who risked and gave their lives that day. After 4 days of crying at everything, my dad called and told me to turn off the TV and stop watching the news and so I did. 3 days later, I decided to volunteer at St. Paul’s Chapel to serve food and drinks to the emergency crews working 24/7. St. Paul’s was one of the stations where the emergency crews could go rest, eat and regroup after tireless hours of search and rescue. It was also the place where people would leave flowers, prayers, and pictures of loved ones that had not yet been found. So much strength in one place that it was literally as if hope and faith rose up out of the debris and ashes in this place to show everyone that this would not break people, faith or this country. It was magical, inspirational, motivational and truly one of the most selfless acts I have ever seen with my own eyes. So today, 10 years later, as I weepily watch all the stories of the people who lost their loved ones, fathers, sons, mother’s, daughters, leaving behind, husbands, wives, mothers, fathers, daughters, sons, brothers, sisters and friends, I am reminded of that day, not September 11, which was so tragic but the day at St. Paul’s. Everyone will always remember “where they were” on September 11th and how they felt, and how those emotions can take them back there. But today, 10 years later, I will choose to remember the strength I witnessed that day in St. Paul’s chapel. I will remember the strength of the people in all of these stories and the strength of a nation where our ability to have a voice and state our viewpoints in turn gives us the opportunity to rise up and overcome. 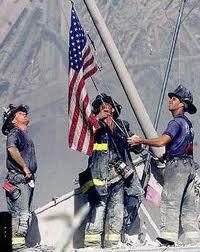 Remembering this strength will help to make this September 11, 2011 ‘mynewfavoriteday’. 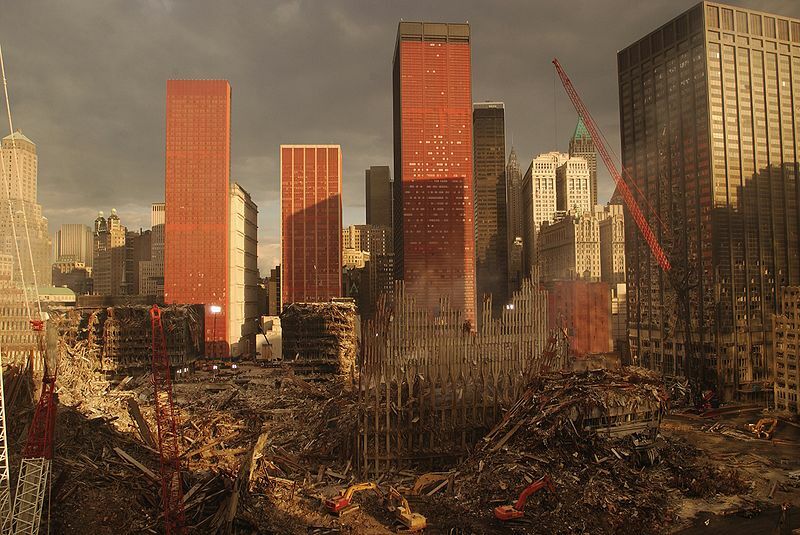 Do you remember where you were the days after September 11 and what you did to start the healing process? What did you feel? Fear, Pride, Sadness, all of the above? As a final note, God bless all of the people that lost their lives, the people that loved them, and the people that are now dealing with the ramifications of giving their time to help in the days and years following September 11, 2001. You are all heroes. ← And these are the moments that you warm and fuzzy…and make you want to hug everyone! I remember awakening to my British, not quite sane roommate screaming things I couldn’t understand from the next room over. I turned on the TV I’d scrounged up off the streets of my college neighborhood and wondered if I was still asleep. Even having spent the morning in the air, with images of 9/11/01 on the TV screens of many fellow travelers, I cannot believe ten years have passed since then. How can that be? It’s amazing how fuzzy clarity can be, right? It is amazing it has been 10 years. I am glad you made it to your destination safe and sound. That’s hilarious you are from Eugene! I went to school there, I am from Oregon as well.